Jasiri X, founder and chief executive officer of 1Hood Media, is the first independent hip-hop artist to be awarded an Honorary Doctorate, which he received from Chicago Theological Seminary in 2016. This recognition grew out of the spiritual/political urgency and artistic vision he shared on songs like “Justice For Trayvon” and “Strange Fruit (Class of 2013),” which documented the unjust police killings of young Blacks in the Millennial Generation. Likewise, he has been deeply involved with the national Movement for Black Lives, working with organizations like The Gathering for Justice, Blackout for Human Rights, Justice or Else, BYP100 and Sankofa. Still, he remains rooted in the Pittsburgh based organizations he co-founded, the anti-violence group 1Hood as well as the 1Hood Media Academy, which teaches youth of color how to analyze and create media for themselves. Jasiri emerged on the national scene in 2007 with the powerful hit song “Free The Jena 6” and the groundbreaking Internet video series This Week With Jasiri X, a program that reached millions of Internet views. More recently, his critically acclaimed album Black Liberation Theology (2015) has been recognized as a soundtrack for today’s civil rights movement. He has performed his music from the Smithsonian to the Apollo Theater and has discussed his views on hip-hop, race and politics at leading institutions across the nation, including Harvard University, the University of Chicago, NYU, Stanford, among others. Beyond his work nationally, Jasiri’s focus on social change has also touched the global arena. In 2016, he was commissioned by The Open Society Foundation to travel to Columbia to create a film (War on Us with Grammy Award-winning hip-hop artist Rhymefest) that highlights the international effects of US drug policy in South America. One of the most important political voices of his generation, in 2015 he received the USA Cummings Fellowship in Music, a BMe Fellowship and a Robert Rauschenberg Foundation Artist as Activist Fellowship. Jasiri lives in Pittsburgh, Pennsylvania with his wife, Celeste and their three children. Celeste C. Smith, co-founder and former chief executive officer for 1Hood Media, is the business partner and manager of artist/activist, Jasiri X. She is currently the Arts and Culture Program Officer for The Pittsburgh Foundation and is an advisor emeritus of the Heinz Endowments Transformative Arts Process Advisory Board. She has recently served as an Artist in Residence at the School of the Art Institute of Chicago, was an Association of Performing Arts Presenters fellow (2016-2018), and SXSW Community Service Award winner (2018). Additionally, she was named a Carol R. Brown Creative Achievement Awards nominee for her multi-disciplined artistry and was a Walker’s Legacy Power 50 honoree. Celeste is also a founding member and chair of the Nefertiti Alliance, an organization dedicated to raising awareness centered on the importance of self-care and protecting the cultural capital of Black women in the arts. 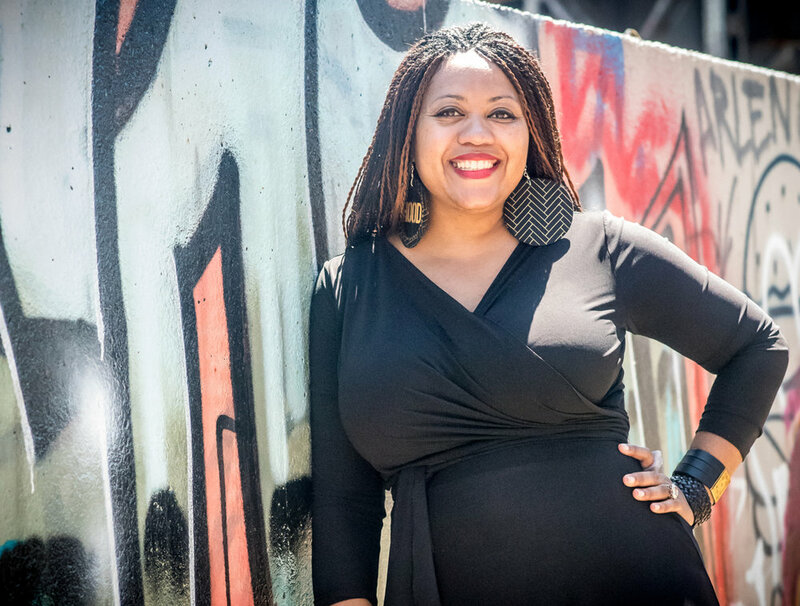 Celeste is also a former member of the Pittsburgh Symphony Community Advisory Council, and an independent arts and community engagement consultant. Celeste lives in Pittsburgh, Pennsylvania with her husband, Jasiri and their three children.